In Part 1, I generalized that, since the impact of being wrong about God is high, it doesn’t matter how unlikely it is, it is still a high risk. But that oversimplification is not entirely true. If it was, that would mean that all unconfirmable claims about the life to come, by any and all religions, would be equally binding, or just as important or risky. If the Biblical God makes demands with consequences we can not confirm with empiricism, are they any different from the claims of Buddhism, Islam, or the Flying Spaghetti Monster? What we really need is a better measure of how likely such claims are to be true. Can that be done without direct empirical evidence? YES. We must not ignore historical, ethical, and logical support for or against faith claims, and in so doing, fail to discriminate between pretenders and contenders. The lack of empirical support for faith means ALL FAITHS ARE EQUALLY IMPROBABLE and on par with fairy tales. The first problem with this approach is that anti-theists are only allowing ONE type of vidence or line of reasoning – that of empirical science. But as Immanuel Kant, the great secular philosopher argued in his Critique of Pure Reason, reason itself (and by extension, empirical science) proves that reason has limits, and in being limited, can not make any claims EVEN TO THE POSSIBILITY or IMPOSSIBILITY of more reality than it can measure. There are other means of epistemology, even within science itself. Beyond the direct observation of empirical science lie indirect observation (such as our measurements of cosmic rays, invisible to our senses), historical evidence, the employment of logic, statistics, and reason to assess claims, and lastly, when it comes to assessing faith claims, one can observe the logical and practical outcomes and ‘judge them by their fruits,’ as it is said. The hubris and mistake of atheism is in failing to recognize the other faculties at our disposal, content to live in the narrow and ‘safe’ world of empiricism, except when it comes to their own myths such as evolution or the absence of God. Before I give some examples of these other types of evidence, let me discuss the second mistake atheists are making in assuming that all faiths are equally improbable. They assume, perhaps correctly, that no amount of evidence, empirical or otherwise, can definitively prove the existence of God, and therefore, it can prove nothing. The error here is that, while it can not PROVE a faith true, it can ELIMINATE pretenders from contenders. That is, using the OTHER means of evidence at our disposal, some faith claims, such as the FSM, fairies, or the validity of Islam, for instance, will fall into the category of NOT the truth. We may end up with one or more contenders, perhaps Judaism, Christianity, and Buddhism (in my book), and that process of elimination is very useful to the person employing reason rather than making blanket condemnations. Let me give some examples of how these other methods are used in everyday real life and science (as opposed to atheist philosophy). But as it turns out, once we were able to measure them, we could confirm that they were real. Before the technology existed to see them, they were a fantasy. But there they were, in a realm invisible to the eye. Perhaps they ought to remain open minded, and admit that SOME day, we may find a way to ‘measure’ God, or we may have some way to probe that reality that is more concrete and less subjective (we certainly will after death). And let me add one more point about yet-to-be-discovered realities. Einstein opened up a whole new world of possibilities, as it were, an unseen world of physics. And even now. quantum physics is exposing us to a reality where MIND seems to influence matter – where observation alone changes outcomes. Is this the door to ‘measuring’ the spiritual world? Since God can be seen as ultimate Mind, it’s possible. Such new realms of science might not entirely demystify or rationalize the spiritual world, but they are evidence that what science has revealed to this point is far from all of reality. You know, perhaps when Jesus’ physical, resurrected body went ‘up’ to heaven, it didn’t go into space, but just ‘out of phase,’ as they like to say in Star Trek. Perhaps heaven is RIGHT THERE at 30,000 feet, but in another space/time dimension that we can’t see. That’s all I’m saying. It’s as realistic, or perhaps moreso, than infinite universes and string theory and dark matter. Don’t get me started. The difference between empirical and historic evidence is one that many atheists and evolutionists are slow to recognize – not for lack of intelligence, but often for the pure rejection of the claims that such an approach might let in the door. This self-deception belies not only a lack of intellectual introspection and self-awareness, it is a bastardization of science. Assumptions themselves can be evaluated for their reasonableness, and challenged with data. Since, by definition, assumptions are unprovable, if we differ at that level, we may need to agree to disagree and leave it at that. If a faith system makes claims about history, science, or logic, these things can be evaluated. If the faith system is found significantly felicitous, this lends credence to its more miraculous claims, though it does not prove them. If not, such as in the case of the Book of Mormon’s historic fallacies, we can perhaps reject it as a contender. There can be no doubt that archaeology has confirmed the substantial historicity of Old Testament tradition. ~ William F. Albright, Archaeology and the Religions of Israel (Baltimore: The Johns Hopkins University Press, 1968), p. 176. The excessive skepticism shown toward the Bible by important historical schools of the eighteenth and nineteenth centuries, certain phases of which still appear periodically, has been progressively discredited. Discovery after discovery has established the accuracy of innumerable details, and has brought increased recognition to the value of the Bible as a source of history. Old Testament archaeology has rediscovered whole nations, resurrected important peoples, and in a most astonishing manner filled in historical gaps, adding immeasurably to the knowledge of Biblical backgrounds. But not only can historical and archaeological studies confirm the natural claims of a faith, they can lend credence to or take away from the MIRACULOUS claims of a faith – not just by their own validation, but by observing how people responded in history to the supposed miracles that occurred. For a quick example, looking at the historical sources of the Jews, we can see that they too recorded that Jesus was supposed to have done miracles. We can also see how the disciples, who fled and hid after Jesus’ death, had some later experience (seeing him resurrected) that transformed them, to a man, into men who believed so strongly that they were all willing to die for their faith – either because they had a strong delusion, or because they had a reason to believe. One of the most basic examinations we can do of any holy or secular text is to subject it to tests of internal and external logic, looking for gross inconsistencies, as well as elegant consistency. We can also employ simple comparisons to our own experience and observation of people, societies, and cause and effect we see in our own world. This can be done heuristically and personally, or systematically and empirically. Either way some spiritual claims and stories will have the air of authority and reality, while others will be obviously fanciful and illogical. Naturally, there will be a middle ground, especially when it comes to reporting miracles. However, if you discard them out of hand as fanciful a priori , then you may end up with a much more limited set of faith claims, if any at all. However, some stories, like the native American myth that the Sky Goddess put the earth on the back of a giant turtle can be clearly eliminated. However, for example, the Biblical claim that God first created light (let there be light), followed LATER by the stars and the sun, aligns perfectly with the current astronomical cosmology that says that the Universe came into being in a great blast of energy, i.e. the Big Bang. This last point is no more true than in the case of Christianity. Books by such authors as Rodney Stark and Dinesh D’Souza reveal that much of what we hear about, for example, the historical war between science and faith, is not only untrue when one goes back to original documents rather than trusting anti-theist and anti-Catholic authors, it is just the opposite of what happened. For a great read, check out Chapter 10 of D’Souza’s What’s So Great About Christianity, entitled An Atheist Fable: Reopening the Galileo Case. So, we might view Christianity, Islam, Buddhism, and atheism and even the FSM from these three vantage points, and at least eliminate a few. The whole point of this exercise was to show that, contrary to dumbed down anti-religious, narrow materialist dogma, there are ways to at least eliminate religious pretenders, and narrow the field to just a few believable contenders. With that in mind, when we return to Pascal’s wager in the risk formula I created, we can see that the LIKELIHOOD of all faiths being infinitessimally low or zero, as atheists gamble, is probably a poor decision. Remember the forumla? Likelihood x impact = risk. If the impactof not believing in Jesus, Zeus or the FSM is high, but the likelihood of those being true, as measured by the methods above, is not the same, we may conclude that some faith claims are more reasonable and likely, and ignoring them could be inviting dire and real personal risk. And this is what Pascal was getting at. The historic, moral, and personal impact of the life and teachings of Jesus are not only impressive, they outshine other systems when compared. In addition, if this places them into the realm of plausibility, even probability, the atheist is a fool to gamble on the notion that his limited ability to measure reality with empiricism is good enough ground to live in defiance of the existence of the Biblical God. "If the impact of not believing in Jesus, Zeus or the FSM is high, but the likelihood of those being true, as measured by the methods above, is not the same, we may conclude that some faith claims are more reasonable and likely, and ingoring them could be inviting dire and real personal risk." Translation: Special Pleading fallacy – my god is different from the others. Gods, fairies, ghosts, witches, vampires, demons, angels, Santa Claus, etc, are all supernatural. Supernatural = Supernatural. Zeus = Jehovah = Allah. Nice try but your ruse won't work on anyone with half a brain. Solution to Pascals Wager: I had better worship every God ever just to be on the safe side. That's just not practical. 1. risk = impact times likelihood. This is standard probability theory, it's called "mathematical expectation" and it is no surprise that Pascal, the father of probability theory, would think this way. 2. If there are competing religious claims, with roughly equal impact, then comparative risk depends on the comparative likelihood of each religion. One can appropriately ignore the least likely religion and embrace the most likely one when determining which religion if any to place your bet on. That's because rejecting the least likely religion would be the least risky choice (as you can see from the mathematical expectation). 3. Daniel then offers some proposals about how to assess the likelihood of various religions and even tells you how he came to his personal conclusions. He didn't just say "my God's different". I don't want to get into a discussion about your (IMO) mistaken view of "special pleading", but whatever you think about daniel's conclusion, special pleading wasn't what he did. IMO you are not responding to his ARGUMENT at all. What argument? He basically says my "God is different from other Gods because my god is more likely." He says this because he is a Christian; like Pascal; like you. You can expect a Muslim to say the same thing about Allah; an ancient Greek to say the same thing about Zeus. That's special pleading, Keith. The fact of the matter is Zeus, Jehovah, angels, fairies, etc are supernatural creatures. They are all equally supernatural so there is no way to compare one with the other. How many times have I made this point to you? All you, and Seeker above, are comparing are your own opinions about Gods, but nothing of any substance. What you guys have is called faith. That means you have nothing substantive to compare. "Remember the forumla? Likelihood x impact = risk." I like the cartoon Louis posted. That about sums it up. It's like debating who would win if they fought, Allah or Jehovah, Superman or The Hulk? >> CIN: He basically says my "God is different from other Gods because my god is more likely." My intention is to provide tools by which one might discriminate between religions. And while I do use xianity as my working example of a more likely contender for being true, I chose it because that is what Pascal was arguing. I was also positive about Buddhism. I will research the definition of special pleading a little more closely when I get time to see if your contention is correct – perhaps I can formulate my reasoning in a manner that does not transgress into that territory – can you suggest how that might be done? Now you are being irrational. If the impact is eternal separation from God (hell), that is surely a high impact. While you feel comfortable assessing the LIKELIHOOD at 0, to asses the impact of hell as 0 shows that you have no interest in following reason on this matter. I will explain why in the coming days in a post entitled The Psychology of Atheism and Unbelief. >> CIN: All you, and Seeker above, are comparing are your own opinions about Gods, but nothing of any substance. Translation? Using historical evidence, logic and reason applied to faith claims and sacred texts, observation of outcomes, and personal experience are not 'substantial' means of inquiry. This is why they are, in practical and volitional terms, unable to distinguish between Zeus, Islam and Christianity. But I am growing more convinced that this is not really a problem with their intellect, but with their will. It's not that they can't see or evaluate, it's that they WON'T. They are a priori committed to tha anti-theist, anti-supernaturalist view. Reason has naught to do with it, except in that they want to limit themselves to the realm of empirical data, and expect everyone else to live in that world also. No tolerance for uncertainty or gray zones, or for the numinous. "Translation? Using historical evidence, logic and reason applied to faith claims and sacred texts, observation of outcomes, and personal experience are not 'substantial' means of inquiry." No, because you are biased toward Christianity. You are a Christian, after all. You are not objective. You cherry pick. A Muslim can argue the exact same thing for his religion as you can for yours. Allah is historical. I have personal experience with Allah. It's reasonable to believe in Allah. One day we can measure Allah. Remember what Sam Harris said about people who believe they experience Elvis is alive? That's you. I place the likelihood of fairies at near zero but zero for all intents and purposes. Same thing for Jehovah, Zeus and Allah. There is nothing substantive to differentiate between these except your opinions about their mythology and your own experiences; manifested when you speak in tongues. >> CIN: No, because you are biased toward Christianity. You are a Christian, after all. You are not objective. Ad hominem. It does not matter WHAT my bias is. The question is whether or not the tools I suggested can be used to evaluate the merits or demerits, or likelihood of certain faith claims being true. You seem to reject those tools, which I think is narrow, limited, and myopic. I think you do so out of convenience and willful rejection of the potential conclusions that admission of such tools might reveal. I think such a bias is not based on reason, but based on your preferred conclusions. While I do have a bias, if you think that I am applying these tools in a biased fashion, or have designed them to favor my position, then that would be a valid attack. But having a bias is immaterial if my arguments are sound. Wrong. The tools I suggested DO provide substantive, meaningful information by which we can and DO discern the differences between ideas, including faith claims. You just refuse them as meaningful because you would like to think that all such claims are bogus. But you are not being reasonable when you do so, even though you have marshalled 'logical' objections. Basically, if your assumptions are bad, it doesn't matter how logically you proceed from them, your conclusions are invalid. Not to compare you to a mass murderer, but Hitler was very logical in his arriving at the 'final solution' to man's problems, but his assumption that the Jews were impure stock and the Arians were pure, were incorrect. His logical conclusion that Social Darwinism and eugenics were therefore for the good of humanity, was logical but errant. What argument? He basically says my "God is different from other Gods because my god is more likely." He says this because he is a Christian; like Pascal; like you. You can expect a Muslim to say the same thing about Allah; an ancient Greek to say the same thing about Zeus. You are wrong about what he "basically says". Part of what he gave was a proposed criteria by which one could evaluate the likelihood of a particular religion. In that part of post he didn't say WHICH religion he believed to be more likely, he was just describing a methodology. Now one part of his post listed personal experience as worthy of consideration, and in this part he told you what HE concluded based on HIS experience. Now HERE you might expect a Muslim to give a similar evaluation of his religion as Daniel does for Christianity. But Daniel isn't special pleading because he would not tell the Muslim to ignore personal experience while depending on personal experience to justify Christianity. You are just not reading Daniel's post accurately. Part of what he gave was a proposed criteria by which one could evaluate the likelihood of a particular religion. Like I said, there is no substantive criteria that one can use to compare supernatural entity X with supernatural entity Y. One is left only to compare their religious opinions and mythologies. It's like weighing the merits of Superman vs. The Hulk. "You are just not reading Daniel's post accurately." Give me a break, Keith. You get no break when you aren't reading Daniel's post accurately. If his criteria for evaluating different religions is not "substantive", that's an argument you can make, but he was not proposing that other beliefs satisfy some criterion that HIS are exempt from then he is not special pleading. You have ACCUSED his criteria of not being substantive but it would help if you actually gave some reasons why. The thing is, even if you don't agree with daniel on this issue (or any other) he was arguing in good faith. …but he was not proposing that other beliefs satisfy some criterion that HIS are exempt from then he is not special pleading. You are absolutely wrong. He is doing exactly that. He thinks his god is a special case. Think hard about it Keith. …he was arguing in good faith. You can believe that if you want but I've seen 4 years worth of posts that tell me otherwise. I don't waste my time on him any more. You'd have better luck talking to a brick wall. You get no break when you aren't reading Daniel's post accurately. I'm reading it accurately so give me a break. You have ACCUSED his criteria of not being substantive but it would help if you actually gave some reasons why. …there is no substantive criteria that one can use to compare supernatural entity X with supernatural entity Y. One is left only to compare their religious opinions and mythologies. It's like weighing the merits of Superman vs. The Hulk. 1. You ASSERTED there is no substantive way to compare supernatural entity X with supernatural entity Y. Daniel offered A way to evaluate religions, to compare them. Therefore, given your assertion his method must not be susbtantive. That seems to be the extent of your complaint, it seems to me. I don't see that you have given any reason to suppose your X/Y assertion is right. 2. Daniel might well THINK his God (my God) is a special case. But his method doesn't presuppose such. Anyone could apply the methodology he proposed. 3. Whether or not Daniel GENERALLY argues in good faith doesn't imply he's not arguing in good faith this time. I am evaluating this argument of his on its own–past arguments do not help evaluate this one. 4. You believe you are accurately reading his post; I think you are not. But I do not mean any offense at all and I'll take no offense if you tell me you think I'M the one who's wrong here. "1. You ASSERTED there is no substantive way to compare supernatural entity X with supernatural entity Y." It's a fact. It's like asserting the Earth is round. "Daniel offered A way to evaluate religions, to compare them." Comparing Superman with The Hulk. 2. Daniel might well THINK his God (my God) is a special case. Special Pleading. His god (your god) is supernatural like all the others. That means there is no substantive way to compare supernatural entity X with supernatural entity Y. One is left only to compare their religious opinions and mythologies. "I am evaluating this argument of his on its own…"
It's that same kind of argument I've heard from him a million times before. It's an argument grounded in religious faith, not anything substantive. Cin, when you look outside your window the earth doesn't APPEAR round. That the earth is a globe was something the Greeks knew because of evidence, it wasn't OBVIOUS. Neither is it obvious to me at least that we cannot make a substantive comparision between different religions to try to get some idea about the likelihood that one of them is true. I don't get your point here. You really seem to be merely sarcastic. This is your entire argument: you disagree with Daniel that you CAN make a substantive comparision between different religious claims. I'd have to say you are just wrong about what special pleading means. THINKING his belief turns out to be special doesn't constitute "special pleading". He did not exempt his own religion from the criterion he proposed. "Neither is it obvious to me at least that we cannot make a substantive comparision between different religions to try to get some idea about the likelihood that one of them is true." Comparing Superman with The Hulk… I don't get your point here. You really seem to be merely sarcastic. "I'd have to say you are just wrong about what special pleading means." Keith, look it up. I'm right. I know what special pleading is. We are apparently at an impasse here. See you later. Hi Louis, thanks for the good read. I think you can see my point clearer than Keith. Keith thinks I'm just being sarcastic when I say comparing religions and gods is like comparing comic book mythologies and superheroes. The point of this comparison just doesn't seem to register with Christians. They have a really tough time with it and I think it's impossible to teach it to them. If a devout DC fan argues to a Marvel fan that Superman can beat The Hulk in a fight, he can support his argument by citing comic book mythology. Superman is faster than a speeding bullet, more powerful than a locomotive and able to leap tall buildings in a single bound. The Hulk can't even fly and he's really dumb. All Superman has to do to defeat the Hulk would be to fly him up into space where he dies from lack of oxygen. :) The comic fans can compare their heroes based upon their opinions and the comic mythologies but by being comic book characters, their heroes have no substance. Hence, the whole debate lacks any real substance. Now the DC fan starts arguing that perhaps his hero, Superman is real. Maybe there is planet Krypton out there, we just haven't discovered it yet. Naturally the Marvel fan would cry foul. Special pleading you silly Superman fan boy. Then the DC fan adds that one should not be a criminal because there is a chance that Superman is real and he beats criminals up. Why take that risk? Special Pleading is a fallacy in which a person applies standards, principles, rules, etc. to others while taking herself (or those she has a special interest in) to be exempt, without providing adequate justification for the exemption. Superman, The Hulk, Thor, Wonder Woman, etc. are all imaginary comic book characters. DC fan, you have not provided adequate justification for the exemption of Superman from the imaginary pantheon of super heroes. By the same token, theists don't provide adequate justification for the exemption of Allah, or Jehovah, or Zeus, etc. from the imaginary pantheon of supernatural creatures and entities. Did I mention that comparing the Greek mythology and Christian mythology is like comparing the comic book mythos of DC and Marvel? Ah, but the Christian pleads that unlike the others, his mythos is special, it's not a mythology at all. The Muslim pleads, unlike the others, Islam is special, it's not a mythology at all. When I say, "…there is no substantive criteria that one can use to compare supernatural entity X with supernatural entity Y" Christians act as if they don't get it. It's obvious, isn't it? Right now, God is sitting on one of my shoulders and a fairy is sitting on the other. Which shoulder is God sitting on, the left or the right? How about the fairy? If a devout DC fan argues to a Marvel fan that Superman can beat The Hulk in a fight, he can support his argument by citing comic book mythology. Superman is faster than a speeding bullet, more powerful than a locomotive and able to leap tall buildings in a single bound. The Hulk can't even fly and he's really dumb. All Superman has to do to defeat the Hulk would be to fly him up into space where he dies from lack of oxygen. :) The comic fans can compare their heroes based upon their opinions and the comic mythologies but by being comic book characters, their heroes have no substance. "Like comic book characters, the deities of the various religions do not actually exist, therefore any comparison between the claims of those religions is pointless". But in the religious debate, whether or not the claims of the various religions are true is an open question–exactly the question Pascal's Wager is aimed at. You commit the fallacy of "question begging". Hence, the whole debate lacks any real substance. Now the DC fan starts arguing that perhaps his hero, Superman is real. Maybe there is planet Krypton out there, we just haven't discovered it yet. Naturally the Marvel fan would cry foul. Special pleading you silly Superman fan boy. Then the DC fan adds that one should not be a criminal because there is a chance that Superman is real and he beats criminals up. Why take that risk? Here your analogy is just false. You see a debate between two people, but daniel has offered a process by which a single person can decide which truth claim to bet on. To go with your comic book analogy, the single person would be trying to decide which superhero is relatively more likely to exist. Daniel proposes a methodology by which one could make the determination at least in the context of religion. he applies the same evaluative standard to all religious claims. Thus we already have a conclusion–no more evaluation of evidence is needed. DC fan, you have not provided adequate justification for the exemption of Superman from the imaginary pantheon of super heroes. From what you wrote above it is already ESTABLISHED that they are all imaginary. The conclusion has already been drawn. Standards have already been applied. But during the evaluation process, there is no special pleasding when all claims are submitted to the same standards of evidence evaluation. And Daniel proposes just that–apply the same estandards of evaluation to all religious claims he says. In spite of this you STILL say he is special pleading. Therefore you fail to understand what special pleading means. QED. But in the religious debate, whether or not the claims of the various religions are true is an open question.."
Same for the comic book analogy. Maybe there is a planet Krypton out there, we just haven't discovered it yet. Daniel proposes a methodology by which one could make the determination at least in the context of religion. The DC fan proposes a methodology by which one could make a determination at least in context of comic book mythology. You accurately define special pleading here…. Of course I do. As you said, we are at an impasse here. I think you are just arguing for arguments sake at this point. You are just being hard headed. It not rain. On this point, see you later. Before you go any further, check this out! I enjoyed that! Very cool. Louis, that first was a cool movie. At first, I thought it was a video about embryonic research or abortion. The second one, meh. Sodom in our day. Your analogy depends on the fact that the comic book stories are in fact NOT true. But IF the truth of the comic books story were an open question then an exploration of which was more likely true would be a legitimate area of enquiry. Daniel proposed a methodology to study open religious questions. But since you don't CONSIDER them to be open questions–you see them as just as false as the comic books–Pascal's wager isn't directed toward you. 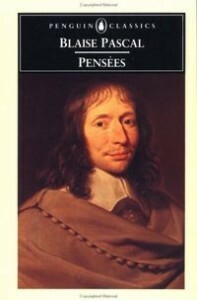 Pascal specifically directed his argument at those who saw religion as an open question. And if he applied that same methodology to all comic book claims he'd not be special pleading. I am not being hard headed, Cin. I simply noted that your definition of special pleading (which was the right definition) says that special pleading means exempting your own belief from the standards and rules you apply to evaluate other claims. Since Daniel didn't DO that, since the standards he proposed would be applied to all religions, he was NOT special pleading. "Your analogy depends on the fact that the comic book stories are in fact NOT true." No. The DC fan believes that Superman is real. Whether the stories are true or not have no bearing upon his argument that superman exists. True or not, it's still special pleading. "But IF the truth of the comic books story were an open question…"
They are. You are bringing your own bias into the argument when you assert Superman's existence is not open to question. "Daniel proposed a methodology to study open religious questions." …which is like comparing DC comic book mythology with Marvel comic book mythology. "But since you don't CONSIDER them to be open questions"
I consider them open to to question. However, they must meet the burden of proof before I believe them. "Pascal specifically directed his argument at those who saw religion as an open question." Translation: Theists. It's a poor argument. Then the DC fan adds that one should not be a criminal because there is a chance that Superman is real and he beats criminals up. Why take that risk? "I simply noted that your definition of special pleading (which was the right definition) says that special pleading means exempting your own belief from the standards and rules you apply to evaluate other claims." Keith, you completely ignored this point after you argued against it. Does a non-response mean you have none? I ask because this is a key premise if you want to learn why Seeker is guilty of special pleading. Superman, The Hulk, Thor, Wonder Woman, etc. are all imaginary comic book characters. Untrue, actually. Thor was the god of storm and thunder to the Norsemen. He was only comicbookized. I understand the point Cin is making. However, I have one comment: the various characters he cites from the DC universe (etc.) inhabit a falsifiable universe: that is, they can be investigated, their histories known, and proved, without a doubt, to have been invented by humans. They are inhabitants of the world science addresses. Religious claims, on the other hand, are unfalsifiable, they are not subject to the scientific method. Sometimes the heart has reasons the head knows not. I think seeker, though trying valiantly, falls into a trap when he buys into the scientific worldview and tries to subject his religious beliefs to its method (of course he has to do this as he asserts that the scientific view must also bow to the religious one). The two are separate, and when one invades the domain of the other, severe damage is done to both. The second one, meh. Sodom in our day.. This inspires me to investigate the qualities of Sodom. I suspect it has gotten a rotten p.r. deal (not surprising, coming from the Bible). I wouldn't mind living in a land where such virtues as love, compassion, tolerance, diversity, friendship and justice are so celebrated. It's too bad Christianity doesn't values these qualities as well. >> LOUIS: I wouldn't mind living in a land where such virtues as love, compassion, tolerance, diversity, friendship and justice are so celebrated. It's too bad Christianity doesn't values these qualities as well. You forgot truth and purity, the things that all sinners want to eliminate. The humanist heaven is one where they can have the blessings of love without truth. But such a place only exists in their minds, because when you abandon truth, chaos ensues and your utopia collapses into the anarchy of human falleness. I'll leave purity to the Puritans and the Pharisees (in other words, your neck of the woods). As to truth, the qualities I enumerated are merely manifestations of it, and I didn't need to explicitly name it. Of course, I'm aware that you fundies think you have a monopoly on truth – so much so, that you get to judge and condemn everyone who doesn't think like you do. Truth is a slippery thing: one man's truth is another's abomination. But, as your Apostle pointed out, we mortals don't have a clear view of truth, and thus it's necessary to leaven our judgmentalism with a lot of humility and compassion – something you Pharisees have a very hard time doing. >> LOUIS: Truth is a slippery thing: one man's truth is another's abomination. So, you are arguing for subjective truth? Good, then you have no claim at being right when I condemn you. I, however, DO believe in objective truth, and so am being consistent when I condemn. >> LOUIS: But, as your Apostle pointed out, we mortals don't have a clear view of truth, and thus it's necessary to leaven our judgmentalism with a lot of humility and compassion – something you Pharisees have a very hard time doing. You mean the same apostle who said that a man sleeping with his mother in law should be thrown out of the church until he repents? The problem with humanists is that they throw out the baby with the bathwater. They call it 'humility' to suspend judgment, yet judge. They want compassion for all, but any hint of truth equals Phariseeism. The real truth is, they can't tell a true Christian from a Pharisee. To them, Paul was a Pharisee (of course, he was before conversion). The essence of Phariseeism is that keeping of the rules makes one righteous. A true Christian knows that this is not so, yet he seeks moral purity because he loves God and hates sin. He hides in mercy and gives it, but also seeks to live and declare the truth to save himself and others from sin. An unconverted 'Christian' flees from the truth and towards truthless mercy because he, remaining uncoverted, still wants his sin more than God. He can not preach against sin, except that of 'judging others' because he himself is still living in it and making excuses. And until the supernatural power of God does convert him, he can do naught but try to fool himself and others that he is really Christian. "Untrue, actually. Thor was the god of storm and thunder to the Norsemen. He was only comicbookized." Yup, and Wonder Woman is also a Godess. I think her name is Dianna, the Greek Godess. "However, I have one comment: the various characters he cites from the DC universe (etc.) inhabit a falsifiable universe: that is, they can be investigated, their histories known, and proved, without a doubt, to have been invented by humans." Many of the comic book characters have roots in religious legends though. You mentioned Thor. Since these comic book characters are actually entwined with ancient religions, that makes their histories murkier. As you said, Thor was "comcibookized" but he is real deity. If someone actually believes Superman exists though, the believer will make the same types of arguments theists make about God. I'd like to meet that person. Perhaps in a mental ward? Maybe stinker can help you here. you know it's not true that the DC fan really believes the comic is true. But if he did then Pascal's wager wouldn't even apply to him because he'd have already decided the issue. Pascal's wager is aimed at people for whom the question is undecided. If the question were open then there would be nothing wrong with evaluating the competing claims for relative likelihood. Which would be perfectly legitimate IF THE TRUTHFULNESS OF THE CO MICS CLAIMS WERE AN OPEN QUESTION. Translation: Theists. It's a poor argument. Your translation is wrong. Theists aleady believe in God, we are talking about people who are not sure one way or the other. Then the DC fan adds that one should not be a criminal because there is a chance that Superman is real and he beats criminals up. Why take that risk? There are LOTS of other reasons one should not be a criminal even if you DON'T believe that Superman is real, therefore choosing to believe in Superman doesn't offer any expectation advantage. But if it did then the Pascalian argument would be perfectly valid. It's the same argument we use when we decide to treat a gun as if it were loaded even when we don't know whether or not it is. On the contrary, he was using the same standard for all claims. Superman, The Hulk, Thor, Wonder Woman, etc. are all imaginary comic book characters. DC fan, you have not provided adequate justification for the exemption of Superman from the imaginary pantheon of super heroes. If the existence of those characters is an open question (as you claim) then it is premature to call them "imaginary". If they are imaginary then their existence is not an open question and the Pascalian argument doesn't apply. I thought I DID respond to the point when I distinguished between applying the same standard to EVALUATE claims from coming to different CONCLUSIONS about those claims. For as long as it's an open question whether God A exists or not, it is premature to place that God in a pantheon of imaginary beings. So your complaint is that you cannot physically detect supposed supernatural beings? That just means that your physical senses are not the appropriate way to analyze existence claims about them. You cannot physically detect the past either, but you can INFER things about the past from examining facts you possess today. Likewise, daniel proposed a way to infer the relative probability of the truth of different religious/spiritual claims. Every fact that daniel proposed to infer those relative probabilities was something that unambiguously exists. And he proposed the same evaluation standard for every religious claim. THAT is why he isn't special pleading, even if you don't agree that the single standard he applied was valid. >> KEITH: You cannot physically detect the past either, but you can INFER things about the past from examining facts you possess today. Likewise, daniel proposed a way to infer the relative probability of the truth of different religious/spiritual claims. Every fact that daniel proposed to infer those relative probabilities was something that unambiguously exists. And he proposed the same evaluation standard for every religious claim. THAT is why he isn't special pleading, even if you don't agree that the single standard he applied was valid. "If the question were open then there would be nothing wrong with evaluating the competing claims for relative likelihood." There is nothing wrong with evaluating competing claims for relative likelihood. If you want to say Superman can beat The Hulk in a fight, that's perfectly fine. Comic book fans evaluate the answer to this question the same way theists evaluate the answers to religious questions, they both reference their respective mythologies. "Which would be perfectly legitimate IF THE TRUTHFULNESS OF THE CO MICS CLAIMS WERE AN OPEN QUESTION." Then it's perfectly legitimate. It is an open question. There really might be a planet Krypton where Superman lives. There really might be a god. No, it's right. The solution to Pascals Wager for people who are not sure: I had better worship every God ever just to be on the safe side. That's just not practical. Cineaste: "Then the DC fan adds that one should not be a criminal because there is a chance that Superman is real and he beats criminals up. Why take that risk?" Keith: "It's the same argument we use when we decide to treat a gun as if it were loaded even when we don't know whether or not it is." Actually, the argument for the loaded gun is MUCH more compelling. I wonder why that is? ROFL! …it is premature to place that God in a pantheon of imaginary beings. You think God is special? You think God is different from the other supernatural creatures, don't you? Here is the DC Comic fan's version: It's premature to place Superman in a pantheon of imaginary beings. There might really be a planet Krypton. Your argument and the comic fan's arguments are the same and equally bad. "You cannot physically detect the past either, but you can INFER things about the past from examining facts you possess today." Sure. It's unfortunate that Daniel's "facts" are like comparing Superman with The Hulk. They are not facts. They are based on mythology and religious opinion. They only hold water to those like you, who are already believers. The Book of Mormon holds water only to Mormons. A Muslim would make the same arguments Seeker has for Allah: Allah is historical, I have personal experience with Allah, it's reasonable to believe in Allah, etc. These arguments have no substance. They are comic book arguments. "Every fact that daniel proposed to infer those relative probabilities was something that unambiguously exists." "…there is no substantive criteria that one can use to compare supernatural entity X with supernatural entity Y" Christians act as if they don't get it. It's obvious, isn't it? Right now, God is sitting on one of my shoulders and a fairy is sitting on the other. Which shoulder is God sitting on, the left or the right? How about the fairy? Well? Does a non-response mean you have none? I ask because this is a key premise if you want to learn why Seeker is guilty of special pleading. >> CIN: If you want to say Superman can beat The Hulk in a fight, that's perfectly fine. Comic book fans evaluate the answer to this question the same way theists evaluate the answers to religious questions, they both reference their respective mythologies. I'm not sure if you are being obtuse or missing the point here, but this is not the type of comparison or validation that is going on. What is going on is not hypothetical comparisons of power among the Gods, but evaluating the likelihood that these characters are REAL. >> CIN: Then it's perfectly legitimate. It is an open question. There really might be a planet Krypton where Superman lives. There really might be a god. They can be evaluated as if they were both possible, and the Superman story will fail miserably in comparison. And yet, an atheist will conclude that there is no difference because he is unwilling to admit these historic and logical analyses as valid. >> CIN: The solution to Pascals Wager for people who are not sure: I had better worship every God ever just to be on the safe side. That's just not practical. If your analysis of Pascal's wager was correct, you would be correct in your conclusion. But I don't think your analysis is correct. I suppose I could go back over his wager and determine if he was using special pleading or not. But in MY interpretation, I am certainly not. >> CIN: It's unfortunate that Daniel's "facts" are like comparing Superman with The Hulk. They are not facts. You see, the atheist does not accept such things as internal logic, historical validation, and the like, except when it suits them. They believe in the myth of evolution precisely ON such data (which itself is unimaginably spotty and contradictory towards their theory, but no matter). They convince themselves that there is a difference in principle, but it is really one of convenience. While Allah may have been historical, there are plenty of factual, logical, moral, experiential, and historical problems with Islam, enough to make it obviously inferior to other historic faiths. Though a Muslim might claim that his faith meets the criteria above, reasonable people could use the system above to decide for themselves if Islam is reasonable, likely to be true, and compelling. But an atheist can not tell the difference between faith claims because he MUST not, for that would admit that one could be right. It's self-reinforcing ignorance. You narrow the scope of what you will accept to the conclusion that you prefer. Easy. >> CIN: Right now, God is sitting on one of my shoulders and a fairy is sitting on the other. Which shoulder is God sitting on, the left or the right? How about the fairy? What evidence do you provide? I can provide overwhelming historical, logical, moral and ethical, experiential (not just mine, but the experience of millions), and other indirect evidences. You can provide little to back up your claim of anything on your shoulder besides a chip. As I said, evidence for God is never directly empirical. If that is your sole data, then there is not God. But you could still be horrifically wrong because you have ignored the other data (except when it comes to your own evolutionary myth, for which you can show NO empirical evidence). We've been talking about Superman a lot so I thought this was especially relevant to our discussion. There is nothing wrong with evaluating competing claims for relative likelihood. If you want to say Superman can beat The Hulk in a fight, that's perfectly fine. That last comment of yours has nothing to do with the question of relative likelihood. The question would be which comic book character more likely existed? "Which would be perfectly legitimate IF THE TRUTHFULNESS OF THE COMICS CLAIMS WERE AN OPEN QUESTION." IF the truthfulness of those comic claims were an open question then (by definition) they might be true. What is your point then? You seem to be calling the comic book question ridiculous, but if your really think it's an open question then what's ridiculous about it? Really, it's not right:-)The way you've editted my comments, sometimes snipping out the actual content of my comment, I cannot really respond to what you said. It;s because you were telling a fib when you said the truthfulness of comics was an open question:-) Since think the question is not open, your comic book analogy only works if you also claim that theism is just as fictional as comic books. You are entitled to your belief, but youor argument then has nothing to DO with Pascal's Wager. Sigh. You still don't get the point. The argument we are talking about is Pascal's wager. If a person believes that God A exists and that B through Z are fiction, this person doesn't USE PASCAL'S WAGER to make his decision. In the wager, the person considers all the religious claims that he sees as open questions and makes two evaluations: how likely is the claim to be true and what is the significance in his life for accepting/rejecting it. As long as the person applies the same standard to make his personal estimates he is not special pleading. The person who already believes in his deity is not Wagering Pascalianly. <b">You cannot physically detect the past either, but you can INFER things about the past from examining facts you possess today." Until you understand why your comic analogy doesn't apply to Pascal's Wager there's not much for me to comment on when you repeat it. >>> "That last comment of yours has nothing to do with the question of relative likelihood." You are mistaken. That last comment of mine has everything to do with the relative likelihood of Superman defeating The Hulk in a fight. If you don't believe they exist, the comic book literalists would say that's your own bias. >>> "The question would be which comic book character more likely existed?" That question of Superman's existence is as open as the question of God's existence. >>> "You seem to be calling the comic book question ridiculous…"
You are mistaken. It's a perfectly valid question. It has to meet the burden of proof though before I'd believe it. >>> "The way you've editted my comments, sometimes snipping out the actual content of my comment, I cannot really respond to what you said." >>> "It;s because you were telling a fib when you said the truthfulness of comics was an open question:-)"
Not sure if you are joking or serious but I'll treat your comment as serious. The truthfulness of comics, Superman in this analogy, is open to question. There really might be a planet Krypton that we don't know about yet. There really might be a god too, even your version of god. >>> "Since think the question is not open…"
To the contrary, I do think the question is open. I've said so repeatedly. >>> "…your comic book analogy only works if you also claim that theism is just as fictional as comic books." The claim I made is "Superman, The Hulk, Thor, Wonder Woman, etc. are all imaginary comic book characters. DC fan, you have not provided adequate justification for the exemption of Superman from the imaginary pantheon of super heroes. By the same token, theists don't provide adequate justification for the exemption of Allah, or Jehovah, or Zeus, etc. from the imaginary pantheon of supernatural creatures and entities." Fictional or not, it's still special pleading and my analogy works fine. >>> "In the wager, the person considers all the religious claims that he sees as open questions and makes two evaluations…"
That's why Pascal's argument is aimed at Christians in particular. The solution to Pascals Wager for people who are not sure about what gods to pray to: I had better worship every God ever just to be on the safe side. The solution to Pascal's Wager for Christians: I had better worship Jesus just to be on the safe side. IMO, Christians are more likely than others to worship Jesus. That's Pascal's intent, worship Jesus not all gods. >>> "…how likely is the claim to be true and what is the significance in his life for accepting/rejecting it." That's my point. "…there is no substantive criteria that one can use to compare supernatural entity X with supernatural entity Y" It's analysing how many angels can dance on the head of a pin. It's debating if Superman is stronger than the Hulk. You have no substantive reference. You only have religious opinion and mythology to go by. >>> "Until you understand why your comic analogy doesn't apply to Pascal's Wager…"
Then the DC fan adds that one should not be a criminal because there is a chance that Superman is real and he beats criminals up. Why take that risk? That is Pascal's argument except with Superman instead of a deity like Zeus or Jehovah.